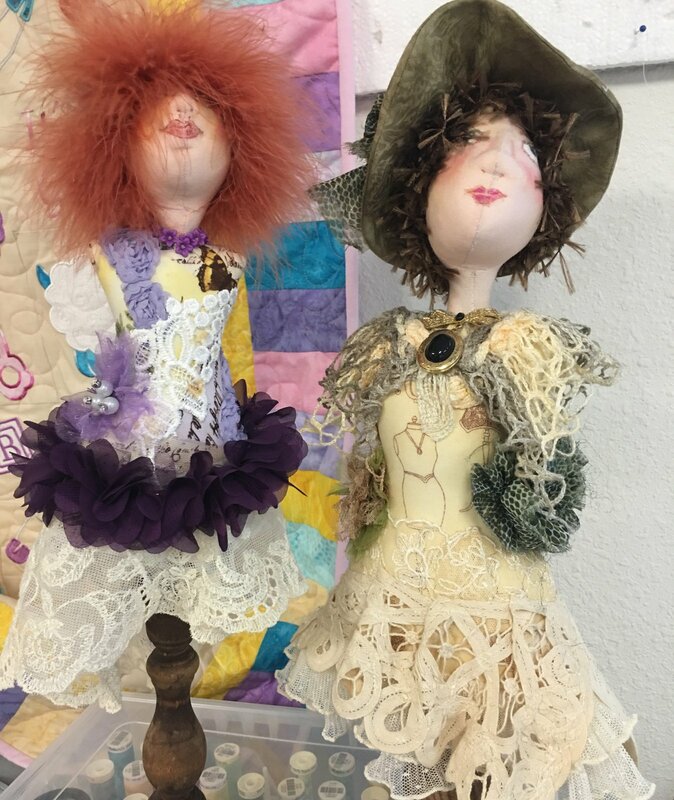 Learn to make a doll with Jill Maas's pattern. 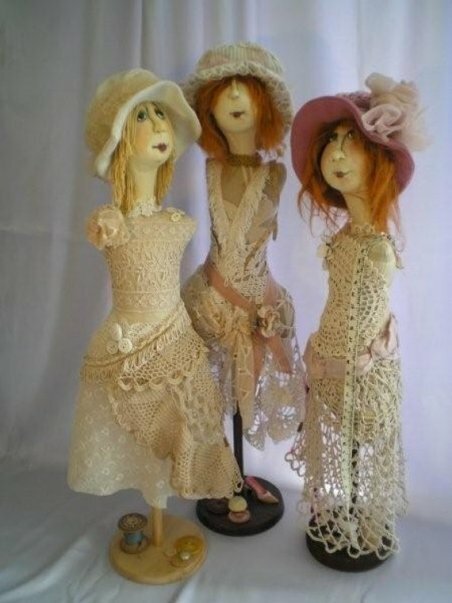 In this class you will learn to make a doll with just the face and body with lots of embellishments. As always, any supplies purchased at our shop will be discounted 15%! Supplies Needed: Dressmaker's Dummy Pattern by Jill Maas; Sewing machine with sewing supplies; piece of flesh fabric and fat quarter for body; piece of yarn or mohair for hair; stuffing tools; stuffing; colored pencils; pencil with eraser; embellishments of your choice; #7 long darning needles (John James); fabric for hat.